"At least two years waiting time!" people got to hear if they wanted a Rolex Daytona. Till date, the Daytona is one of the most sought after and most popular watch model. The "Zenith" Daytona was produced from 1988 to 2000 and is the first Daytona with automatic movement. It owes its nickname to the legendary Zenith El Primero movement, modified and installed by Rolex. The Daytona offered here has everything a watch lover looks for. The watch is almost unworn, the case is unpolished. The original, green Rolex sticker is attached to the caseback. The original warranty certificate from 1997 is available. The matching original Oyster Bracelet - Ref. 78390, Endlink Ref. 503B. The variant of the dial is MK5. The condition is mint and flawless. For a Rolex lover it is very hard to resist this watch. Already knew? Paul Newman - the legendary American actor not only wore the famous "Paul Newman" Daytona Ref. 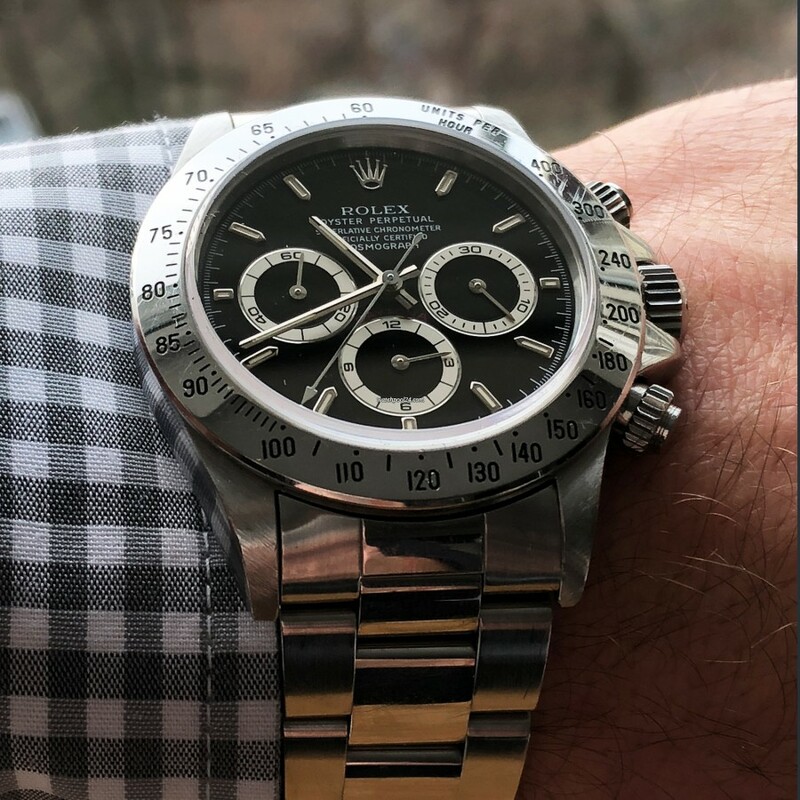 6239, but also the 16520 from his private collection very often on his wrist.